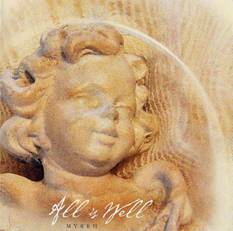 A fresh, contemporary and traditional assortment of vocal and instrumental Christmas music, All Is Well is sure to be a big hit on radio this holiday season. There is incredible diversity on this project, with everything from jazz, to adult contemporary, to the sacred classics. Myrrh's unique approach breaks the stereotype surrounding Christmas songs, by "spicing up" many old favorites and adding some new ones. All Is Well Background Tracks are now available - Call 888-286-9694 to order!